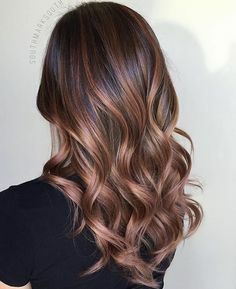 ▷ Best Brown Hair with Highlights 2019 ¡Photo ideas & step by step! Dark Brown hair usually add ages to your look, that´s why stylist recommend highlights to make your look more modern and edgy, the best tones are mocha , honey and gold blonde, beside, this three tones, some fearless woman dear to use different tones in red, like strawberry highlights and also purple, being a perfect option for tanned skins. 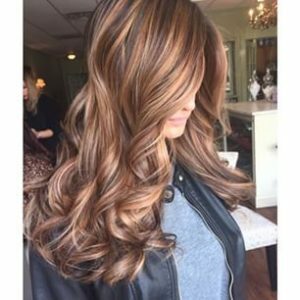 Reflections or brown hair highlights never go out of style and are an excellent option to give light and life to your hair, however, what tone should you apply? Here we teach you to choose it. Women love to enjoy a change of look every so often: haircut, hairstyle or color and often choose to use more than one color and make wicks or reflections. Just as you have to look for a haircut according to the shape of your face, in the same way you should choose the tone of the reflections according to your hair, skin and eyes color. In general, the reflections are placed only a few shades lighter than the color of the hair, so that it looks as natural as possible. Is not that easy, some of us make the same mistake by choosing the wrong color and technique to dye our hair, however, the best idea to add some fun to your hair are Highlights, they don´t cause too much damage, because, you don´t have to bleach your entire hair and It is the cheapest way to add some change into your life, they will also make you look vibrant and classy. Please, don´t forget to follow this advices according to your lifestyle, some highlights are not appropriate for your way of living, because some of them needs too much maintenance and you won´t be able to keep the rhythm. 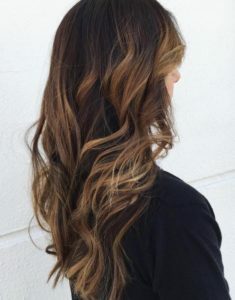 My first advice is to be fair to yourself and choose the correct highlights for you and the right stylist, someone who is capable to do a good Ombré, the common mistake is making the degrade wrong and you will look with half of your hair brown and the other yellow and I´m sure that It´s not what do you truly want. Keep in mind the tone of your hair, If It´s light brown or dark brown, in light brown hair the best option is to choose golden blonde tones or copper tones, in this case, you will have to know the goodness of your hair, because light brown hair have natural highlights, so, you won´t have to choose a very different color tone for your brown hair highlights, the idea of them is to stand up the beauty of your hair. 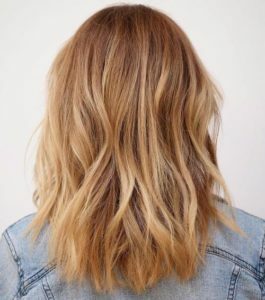 In case you have a pale skin tone, talk with your stylist about the best options for your brown hair highlights, because if you choose a very light tone for them, you will look too pale, your goal is to make your skin tone look healthy and kissed by the sun. In case you have dark brown hair, the common tones are copper tones and some tones in red, but in both cases, if you are very odd, you can try with grey, purple, blue and pink highlights, because, fashion is fun! Where you try to give a change of look to the hair that marks the face, but in turn is to pass the dark hair to a much lighter shade. If that is your decision for a modern change but at the same time that fits well with the type of skin color you have, I will give you some tips on how to make this type of color but also show you examples of models and ideas to get to the color wanted. If you want to stay in your comfort zone, blonde highlights are the most common hair style and they work fine in dark brown hair, just remember that this kind of brown hair highlights in your type of hair doesn´t have to be really light in contrast of your dark brown hair, they usually are gold blonde and if you wear them with curls you will look like a princess. Maybe, you haven´t heard about Rose Brown hair Highlights, but, If your style is a little bit more conservative you will love this look, because it gives your hair a light rose tinted brown and It works in a beautiful way in your skin tone making you looked a little bit tanned and adds dimension and brightness to your hair. If you want a look made by angels, this look will make you conquer, and the best part is that you won´t need too much to keep this hair style. 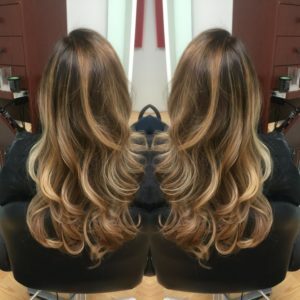 This highlights are perfect if you work, the color is very natural and It is just a few colors lighter than your natural hair color, that´s why you don´t need to go to your stylist so often, because your hair will grow and with time they will disappear and you will still look elegant and classic for your office. 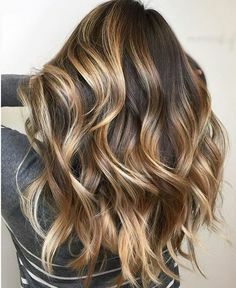 There is a myth about highlights, must of us think that brown hair highlights have to be dramatically different to your hair color, that´s not necessary right, because the idea of brown hair highlights is to give life and dimensions to your hair, they can be discreet or they can imitate the Siren look. 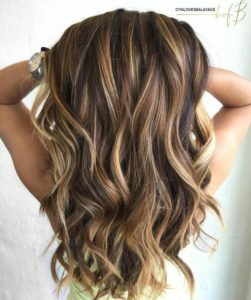 So, the secret is that if you don´t have a big amount of hair you can try two shades lighter brown hair Highlights to make it look more voluminous, remember, this highlights only have to be a couple of color lighter and they will work if you want something simple. 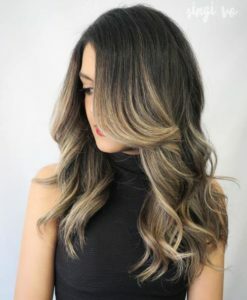 This kind of technique is pretty good, because, you won´t need to discolor you hair, so, It won’t cause too much damage in your hair and you won’t have to change your lifestyle to keep your hair healthy. 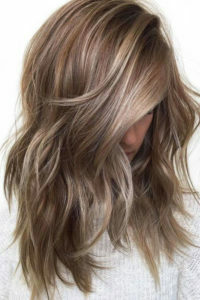 This style works fine if you are a trendy kind of girl, this kind of highlights will give you an ashy shade in your brown hair, Ombre highlights in this color will make your hair looks like it is melting and for sure you will love this, especially if you have short hair and want to look more edgy in your everyday life. 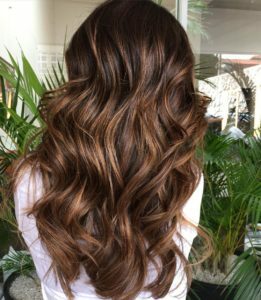 But, be careful, because you will need to change your habits with this kind of brown hair highlights and use different products to hydrate your hair, you can try using natural products in your house, like olive oil. Purple is a color that many of us love, obviously this color is made for those fearless woman with a very odd style, that´s why It have being a trend for a couple of years now in ladies of all ages, and It seems that It will last a couple of years more. 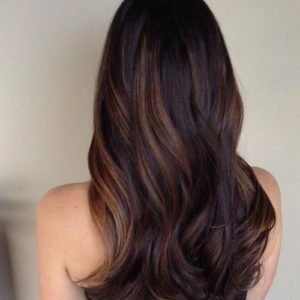 This kind of brown hair highlights will make your hair looks like a sunset, sadly, this style is one of the hardest styles to keep, because you will need to take care of your hair with special shampoos and keep it really hydrate, also, you will have to visit you stylist pretty often for maintenance, if you are the kind of girl who is always busy or doesn´t like to go to the hair saloon so often, this is not a look for you. When you have chocolate brown hair, you can already expect that your hair can be considered boring, you can do something to it to give it a little flavour, making some reddish caramel highlights will make your hair looks like the sun, in this cases of dark brown hair the best idea is to give them a little of red sparkle, the point of this look It´s to make it the most natural as possible. 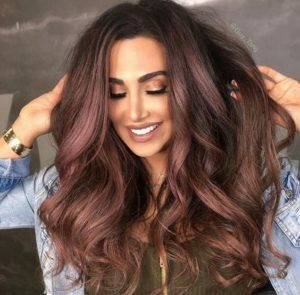 You may think that the ombre trend is not really that popular anymore, but, If you are not the kind of girl who follow trends, you can try with this one, the strawberry tones is not a drastically change for your brown hair highlights, for sure It will make a change on your look, be careful, your hair could look like a chocolate dipped on strawberry’s, tell your stylist to make this style flow in your hair. 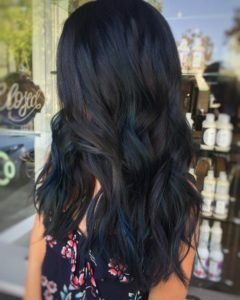 You will break it with this blue highlights, but, be careful, they could turn green with too much sun exposure or if you dive into a pool, this look will make you look edgy, but, you will need to camp in your beauty salon, anyway, It is totally worth it. 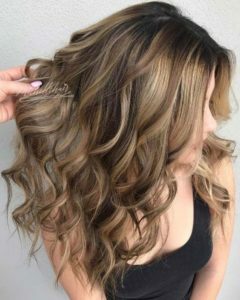 Highlights in black hair are one the hardest decision, it isn´t an easy color to match, but, you can try with light brown highlights, those highlights will make them appear like a shine in your hair, It will give them volume and make it look a little bit lighter. It´s not very odd, but, It is a good option for yourself. In these case, It´s hard to not make them look fake, find a good stylist, someone who will make a beautiful job, I insist, don´t put your head in any beauty salon, you can research on Instagram or Facebook, even you can talk to some lady on the street and ask her about her highlights. It´s not permanent, but, a bad hair look will mark you for a few months or if you find someone capable after, you will have to spend more trying to fix what it has been done. This look doesn´t work in everybody, you have to be edgy, modern, with a very unique style to make it look good on yourself, this platinum highlights are lighter than Grey Highlights, you will have to spend more on products, but, It worth it, you will have a Vogue look, this will be a turn of your style, and some advice, This brown hair highlights looks even better with short hair and pixie styles. 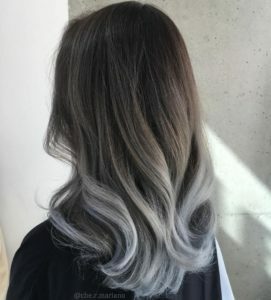 If you are tired of natural hair color, just try silver highlights on your brown hair, many celebrities have tried this trend and It have work fine, for many years having your hair silver or grey was something for old people, but now this have become viral, some girls have tried this unique style combining different tones of silver and they transform that idea of the past. 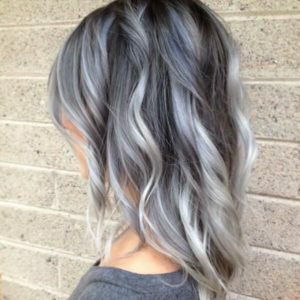 Silver highlights are fashion and trendy; forget the idea of that old way of thinking. This look works with girls who has light brown hair, this look will make your hair looks on fire, it is very edgy and not so many girls can wear it, this style idea is for someone very feminine and odd and It is recommended for people who has a few amount of hair, because, this brown hair highlights give a lot of volume and light to your face. 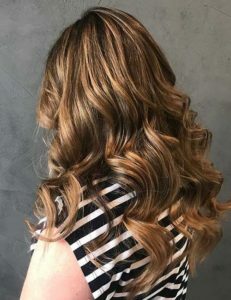 My advice is to choose a red tone and blonde tone similar to your natural highlights of your light brown hair, to make it similar to your natural hair, for sure, you will look like a red head after this highlights, but your skin will look flawless. This sweet tones make them the best choice for hair highlights, the contrast in the hair makes them look more natural than Honey Highlights, If you find hard to choose the color for your highlight you can choose this one and It won´t be a problem if you have light brown or dark brown hair, but, I don´t recommend this color or golden blonde for black hair, because It won’t look good, In case you are in love of this pallet, you would have to change your hair color to use this kind of brown hair highlights. Candy shades are fashionable and are very versatile, especially in those with dark hair. Many celebrities have been imposing this trend on red carpets, and will continue to do so for a few more seasons. 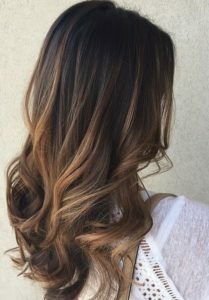 If the caramel wicks are made as faint reflections, which mean 2 or 3 shades lighter than the natural hair color, it generates a beautiful, really attractive look. They look very natural, and they add volume, light and interest. Caramel tones can go to gold (with a yellowish hue) or to copper (with more reddish shades). You will also see wicks in fantasy colors such as red, blue, purple, pink. We will show you some examples below so you can choose the perfect wicks for you. The best way of wearing this Highlights is with very long an curly hair to get a very chic style and with short hair to give them more volume, anyway, this style is to make you look like you just arrive from the beach, with your roots on your natural color and the end of your hair with a lighter color, kissed by the sun, It´s a trend that all the woman are trying, just like the trend of “I just go out of the shower”, more natural is better and that is the best of the 2018, that you can play with old trends and new ones, style is all about it. 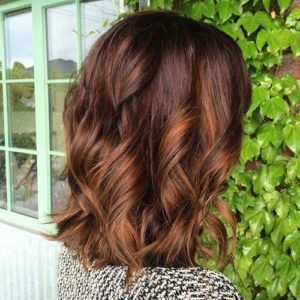 If your base color is black or dark brown, the perfect tones to achieve a natural result are chocolate and coffee. We will get to bring much more movement and texture to our hair with a very natural effect. But if what you want is a more daring look, you can also bet on blond tones. If your base color is light brown, it is best to lighten the hair two or three shades until you reach the blonde. If you have a rather dark base, the light wicks also combine very well. 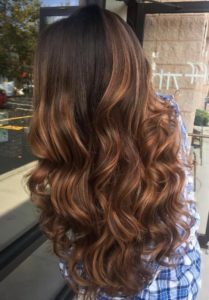 It is best to apply highlights of a lighter shade of chestnut and intersperse with some blonde highlights, so that there is not much contrast. For daring girls who love the contrasts, these wicks have a lot of personality. The result will be some wicks very similar to Californian but more natural. When you see a brown hair you can come up with a multitude of different possibilities to find a name for that color. Have you heard about hazelnut brown, coffee with milk or honey, among others? Those who have dark brown hair, take advantage of the rays of the summer sun to clarify naturally. 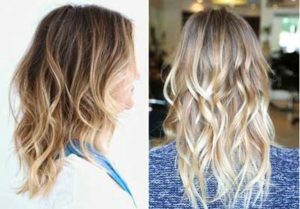 If you are going to go to the beach, the incidence of the sun along with the salt causes the hair to clear up little by little and you can enjoy a light brown tone that is very fashionable and that can enhance the tan of your skin. 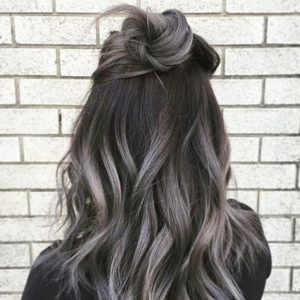 If you are already tired of the same hair dyes and do not know how to choose something new and different to highlight your brown hair, this trend in hair dyes called “coffee bean” will delight you. What is this trend about? 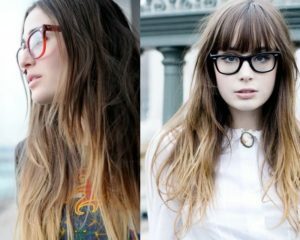 Practically they are wicks in shades much lighter than your hair to make it stand out much more. What happens when you add a little milk, cinnamon or vanilla to your coffee? Do you remember the gloss effect that remains? Well, exactly that is the finish that your hair must have when you finish dyeing it as a coffee bean. If you have never dyed your hair, this tone is ideal for you. Especially it is left to women with brown hair, and it is also perfect if you are looking for a very natural finish. Coffee bean also highlights your features instantly. If you have dark or black hair and you like California fuses, what’s the problem? Many girls think that because they have dark hair, they cannot use this technique on their hair. Well you are very wrong, because the California wicks in black hair feel as good as in blond or brown hair. 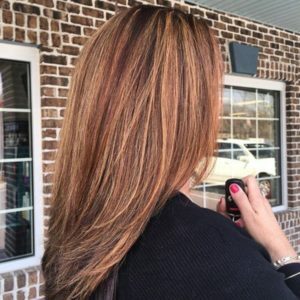 As we all know, Californian highlights are used to achieve a much brighter and deeper hair, thanks to the gradient we apply from the tips to the root. In the case of blonde hair, the effect is more natural, since this type of hair usually lightens with the sun in summer. 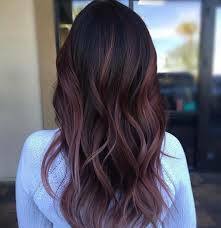 It is precisely what we are looking for, but if we have brown hair, we must take into account the type of dye that we use to lighten our hair and that suits us as well and favored as much as Demi Lovato, for example. All this looks are pretty good, the only one who will make them work is you, the attitude is everything, don´t be shy and dare to something new, change your habits and what you usually do with your hair, remember to take care of him anyway, with or without brown hair highlights, your hair need vitamins and attention to make it glow and make it stronger, if you don´t do that It will start to fall, loose his natural light and start to break. The best trend is to look healthy and active, that´s the best fashion trend of all. Taking care of yourself talks a lot about you and your hair, your skin and your nails shows it all, so start drinking water, eating more vegetables and vitamins and natural juices, avoid dark drinks, alcohol, cigarettes, sleeping late and junk food.